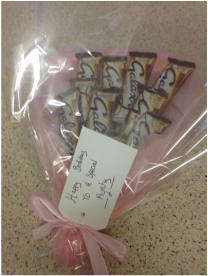 All sweet products come wrapped in cellophane and finished with ribbon. There is a verity of colours to choose from for the boxes, tissue paper and ribbon. We also stock a verity of mugs so there is plenty of design to choose from. For any other information please feel free to e-mail us your request. chocolate mugs contain 5 mixed chocolates. Sweet Mugs contain 10 mixed sweets. Small hamper and mug prices. Mixed boxes contain a mixture of 6 chocolates and 10 sweets. 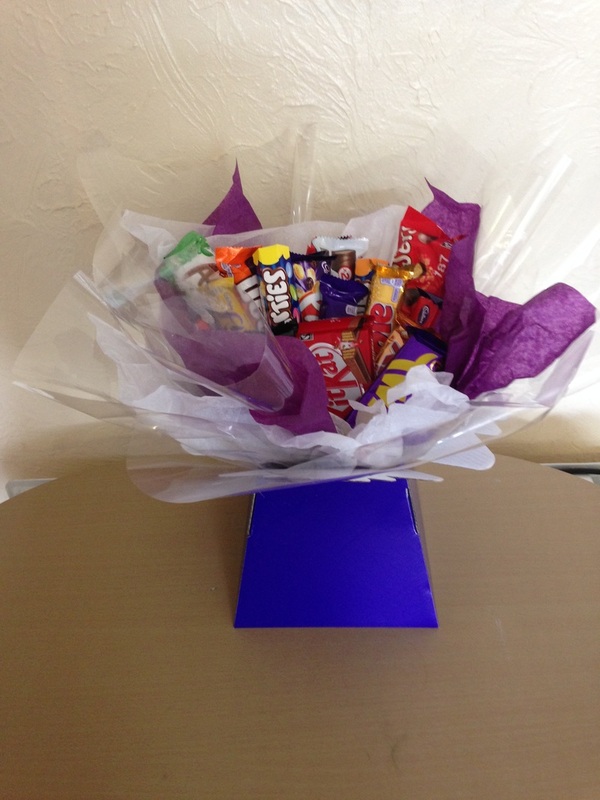 Large sweet and Chocolate gift box contains a Verity of 30 sweets and chocolates. 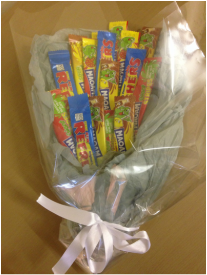 Sweet Bouquet contains a mixture of 18 sweet bars. 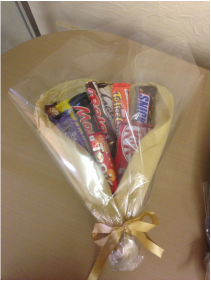 chocolate bouquet contains a mixture of 10 chocolates.